Have you ever wondered what it would be like to marry for the first time after your peers have already become grandparents? Have you ever wondered what it would be like to bicycle across America? As if each weren’t adventure enough, what if you combined the two? 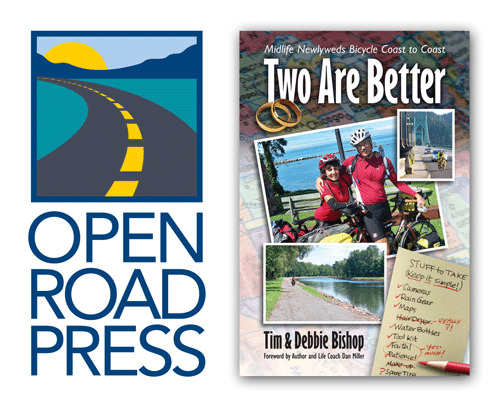 Some might consider this a recipe for disaster, but Tim and Debbie Bishop thought otherwise. At age 52, the couple finally found in each other that special someone they’d been searching for years to marry. In only ten weeks, they moved from marriage proposal and wedding, to Tim’s “retirement” and relocation, to embarking on their cycling adventure.